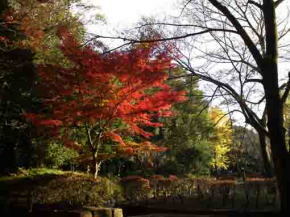 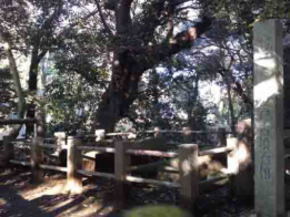 Visitors could feel the nature in four seasons in Satomi Park. 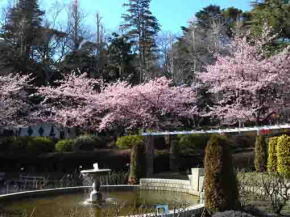 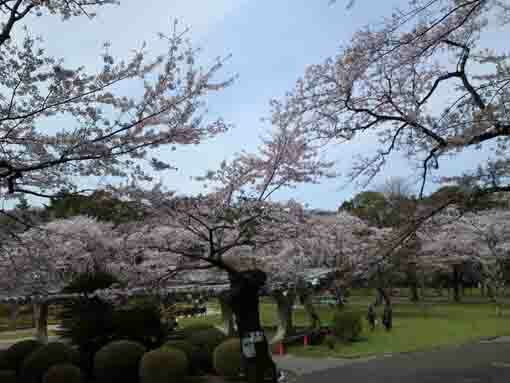 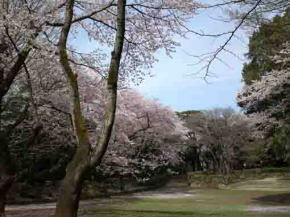 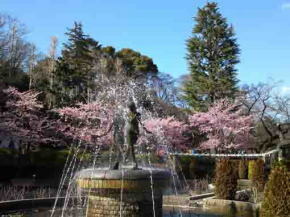 The park is the noted spot for viewing cherry blossoms in spring. 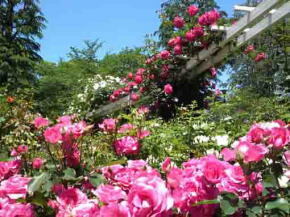 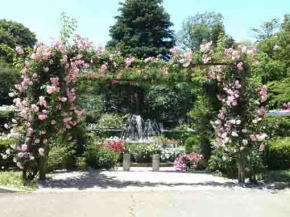 In summer, thousands of roses, the municipal flower of Ichikawa City, fully bloom in its rose garden and visitors could enjoy them. 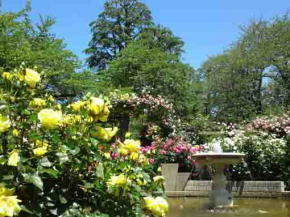 The garden is often used to making films of TV dramas recently. 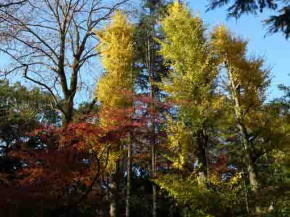 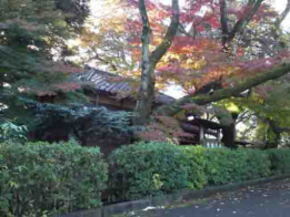 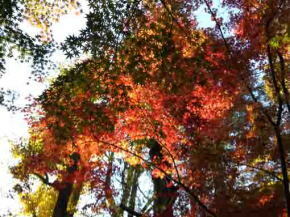 And visitors could enjoy seeing colored leaves such as gingko and maple trees in Satomi Park in fall. 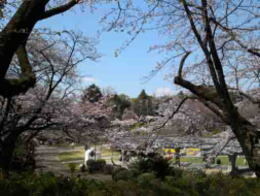 Satomi Park always shows dramatic scenes of four seasons in Shimousa with millions of cherry blossoms, roses and colored leaves when you walk in it, visitors could see Hakushu Kitahara's house named Shiensosha and Akedo Ancient Tomb in the park. 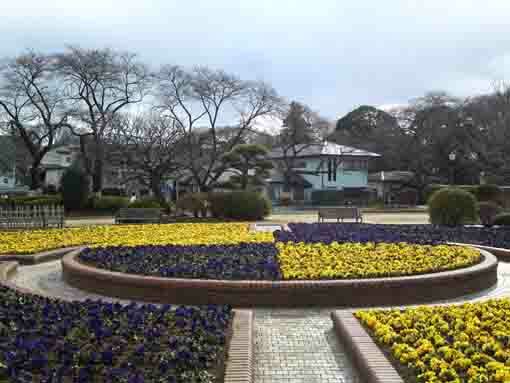 Satomi Park has enough fan for you not to go far away. 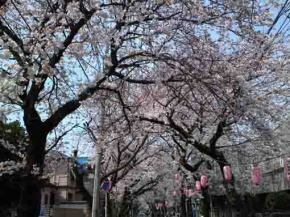 The promenade from the main street, many cherry trees line along, you would feel like passing through a tunnel made of Sakura. 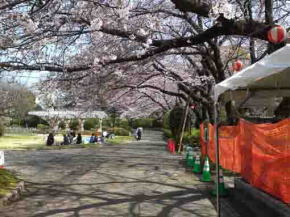 Passing through this sakura’s tunnel, there are millions of cherry blossoms blooming like clouds seen over the gate of Satomi Park. 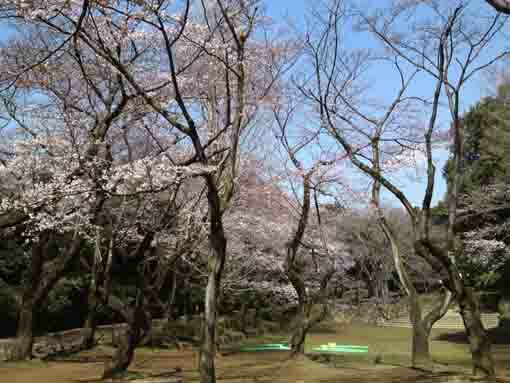 The cherry blossoms blooming around the rose garden and lawn yards are beautiful, in addition, they are blooming over Hakushu Kitahara's House named Shiensoja gives something nostalgic views. 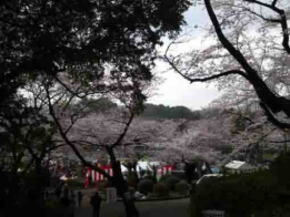 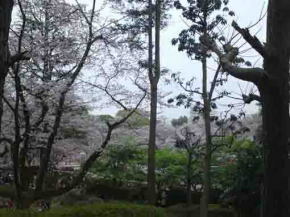 Many thousands of people visit Satomi Park to see them in spring. 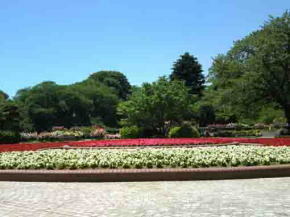 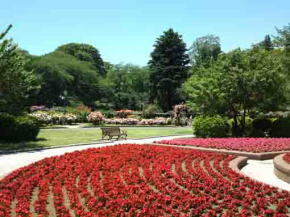 After the season of full bloomed cherry blossoms, roses colorfully bloom in Satomi Park. 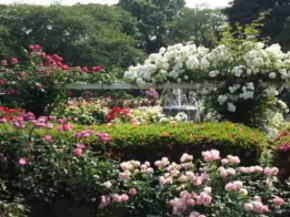 Visitors admire 'It is enough satisfied at seeing roses in Satomi Park.’ Several thousands of roses wonderfully bloom in the park. 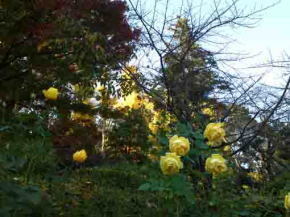 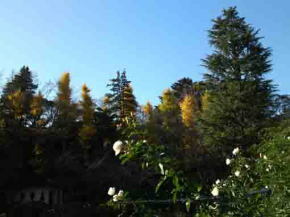 After autumn roses bloom, the woods in Satomi Park changed their color from green to red and yellow. 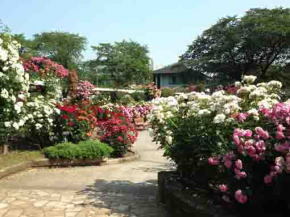 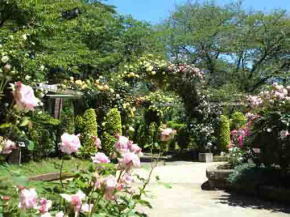 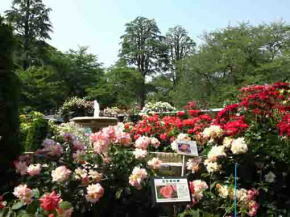 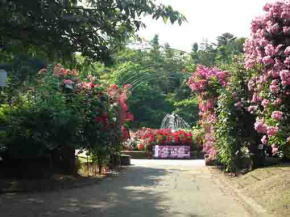 Visitors could enjoy seeing roses and colored leaves simultaneously. 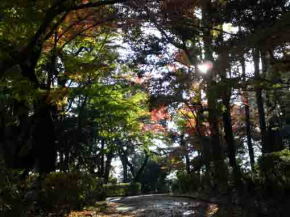 It is wonderfully enjoyable to walk to back side of the park, so seeing Akedo Mound in the autumn leaves is exciting. 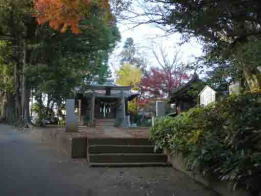 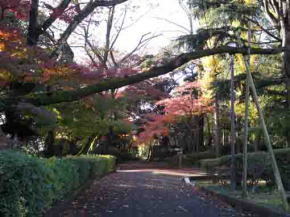 A walk on Satomi Park in fall is enjoyable as it feels like a picnic in woods. 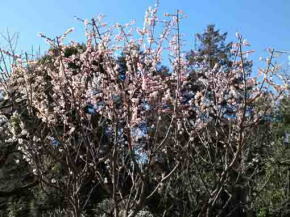 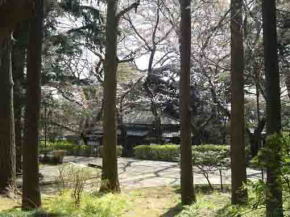 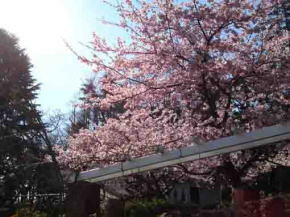 There are few flowers blooming in Satomi Park in early spring. 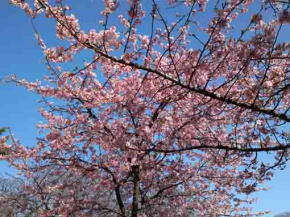 However, ume blossoms start blooming in January and they reach to full blooming in early March, it is the almost same time that Kawazu Zakura bloom with their deep pink blossoms behind the rose garden. 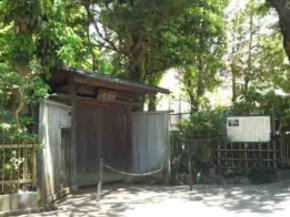 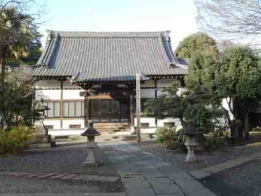 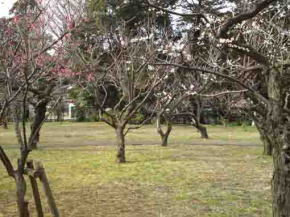 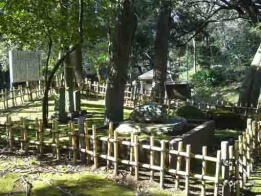 A few tall white ume trees are planted in the center of lawn yards and several kinds of ume trees are in the ume garden. 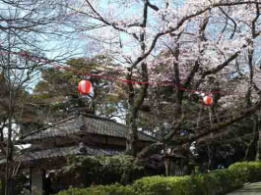 Some said that the word 'ohanami' had implied viewing ume blossoms in Edo period. 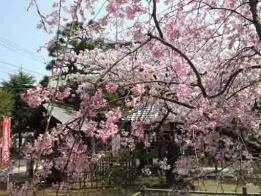 It is a good plan that viewing ume and Kawazu Zakura could be a rehearsal of viewing Sakura in early spring. 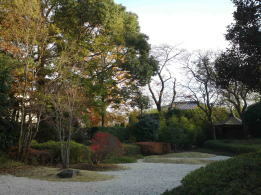 Please visit Satomi Park with warm clothing. 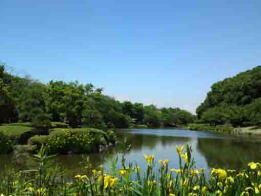 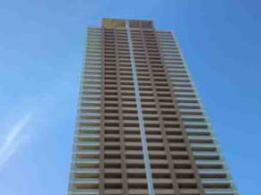 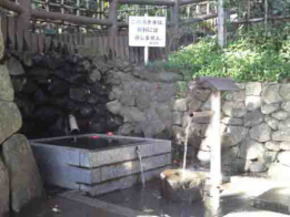 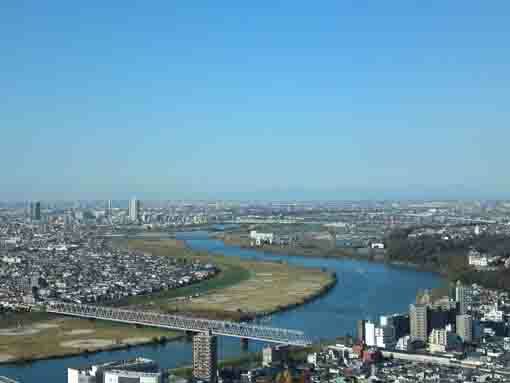 Satomi Park has great accessibilities from both Narita and Haneda International Airport.